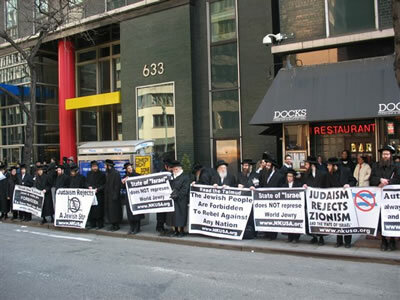 Anti-Zionist Torah faithful Orthodox Jews will gather in a counter-demonstration outside the Iranian Mission to the U.N. to call out and say that the Torah forbids the Jewish people to take sides in any conflict between world nations and Torah Faithful Jews are loyal to the nations where they reside and in support of that loyalty will not embarrass or condemn any nation or world leaders. This relatively new approach of attacking those whose beliefs are in conflict with their own, is being promoted to the Jewish people by Zionists as the appropriate action for faithful Jews to take. 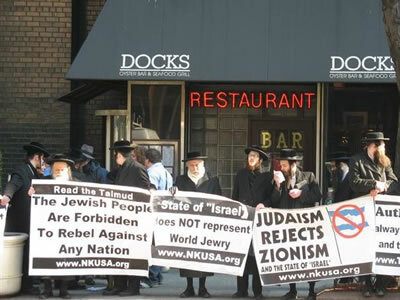 Orthodox Jewish Rabbis and renowned Jewish leaders have opposed Zionism since its inception and the state of "Israel" since its creation and now must condemn the escalating Zionist approach of inflammatory rhetoric and personal attacks on nations and their leaders. Speaking against Zionism does not label one as an anti-Semite. In fact, in our case a population of about 25,000 Jews reside in Iran in peace and harmony. 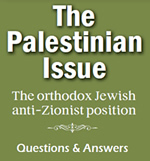 The state of "Israel" and its representatives do not represent Judaism or the Jewish people. 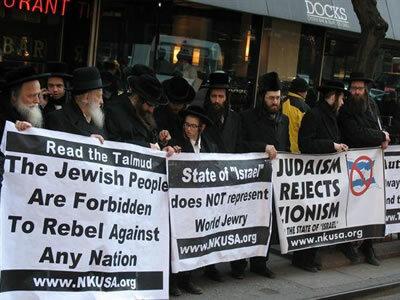 Torah true Jews condemn Zionist antagonism. We pray for the peaceful and speedy dismantlement of the Zionist state. We pray for peace between all nations. We pray for the well being of the Jewish people and for all humanity.